The Smach Z is a handheld gaming PC that’s been under development in one form or another since 2014, when it was little more than a concept device called the SteamBoy. Now it’s looking like the folks at Smach are almost ready to ship the system. The company has released a set of promotional videos that show a bit of gameplay on the Smach Z, and mass production of the portable game system is set to begin in the first quarter of 2019. The Smach Z features a 6 inch, 1920 x 1080 pixel touchscreen display with physical gaming controllers on the left and right sides. Like Valve’s Steam Controller, there’s an analog stick on the left and X,Y,A,B buttons on the right, along with left and right touchpads that can be used for a variety of functions. In fact, the Smach Z basically looks like what you’d get if you cut a Steam Controller in half and put a screen in the middle. But that’s easier said than done, which is why it’s taken so long for Smach to finalize the design — for years the company has been showing non-working prototypes and/or demo systems that aren’t anywhere close to a fully functional portable device. If mass production is actually slated for early 2019, it might not be long before the Smach Z is actually a real thing you can buy — and a real thing that backers of Smach’s previous crowdfunding campaigns might finally get their hands on — Smach says the computer will ship to Kickstarter and Indiegogo backers first. The system is powered by an AMD Ryzen V1605B embedded processor with Radeon Vega 8 graphics and features WiFi, Bluetooth, USB Type-C, Type-A and micro USB ports, a headset jack, DisplayPort, and SD card reader. It comes with a choice of Windows 10 Home or a Linux-based operating system called Smach OS which allows you to run Valve’s Steam game client. And that’s actually a little more exciting than it was when the SteamBoy/Smach Z was first announced, since there are more Steam games available for Linux than ever… and Valve has recently made it possible to run some Windows games on Linux even if the developers don’t officially support the OS. Pre-order prices range from $629 for a Linux model with 4GB of single-channel RAM, 64GB of solid state storage, and no camera to $1078 for a version with 16GB of dual-channel RAM, 256GB of storage, a 5MP camera, and Windows 10. After so many delays and controversy the only way I’d pay for this now is after seeing not only professional reviews but also actual user reviews and if it could be bought on some platform which provides some sort of guarantee. But that aside it looks like it could actually be good (heck, hook it up to a screen and keyboard/moose and it could function as a decent desktop). That’s if the hardware becomes a reality and actually functions. There’s still the step of thinking about the overall price and customer support. I think there’s a chance that the 2020 GPD Win3 might arrive BEFORE the Smach Z. In which case, the choice may become even harder to order a Smach Z, let alone since the introduction of the GPD Win2 and perhaps a 2019 GPD Vita. Meanwhile, queue the sincerely interested buyers. Not going to hold my breath. Even if it releases, I would never buy one. Even if they do manage to ship the Smatch Z, I would not buy it, because if I (and a lot of other people) do, they might feel that it was okay after all to lie about everything for 4 years, because hey, we got it done eventually. Yes, thank you, you’ve proven you can do it, but I would never entrust money to these guys. Proof of concept done, now move over so someone competent can do it in a few months and do it better! That is, if they do ship. Somehow I think the original backers are still in for some surprises down the road. Dan, I keep seeing you over the internet and your avatar. Then I think to myself, what type of wrist mounted phone/pda/umpc does this guy dream of owning. That’s easy! An N900, but powered by a current gen CPU, a good amount of RAM, dualboot to maemo and Android and usb-c with displayport instead of microUSB. And a battery that lasts a day or two! 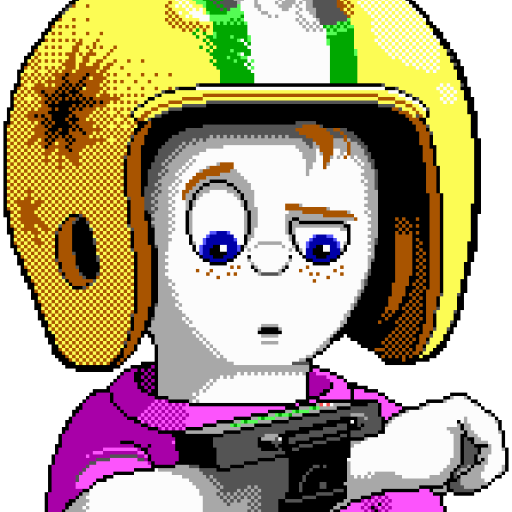 Oh, you mean what Commander Keen has on his hand? Well, appereantly the one requirement for that is to run Commander Keen. Heh, what’s the current state of Neo900? Okay, I have to ask the downvoters, because I’m curious: what is there to downvote in me liking the Nokia N900? Does it somehow offend you guys? Dunno if it’s doable in a few months, even GPD takes a few years from design to release for their Wins. I wouldn’t mind seeing these guys taking their time with a device like this if not for the fact that they’re all utterly incompetent lyers who don’t actually know what they’re doing. AFAIK, they only know how to design a concept and that’s literally it. Isn’t the actual product design and manufacture being done by an unknown Chinese company? I wouldn’t be surprised if the retail Smach devices had lower quality components with the factory turning around and releasing their own version with better components. Hell if they could redesign it into a clamshell with a keyboard to make it a Win competitor, I’d buy that. Pfftt, watch this get pushed back again. Next year I’ll rather put my money into buying One Netbook’s (the people who made the first GPD Pocket clone, the One Mix Yoga) Win 2 competitor, since they’ve actually made and released products. I might look into getting a Pyra, too, for my collection. Then of course the Win 3 in 2020 or 2021, whenever it eventually releases. Have One Netbook announced a Win 2 competitor? Or are you just speculating?